Becoming a volunteer firefighter involves a serious commitment of your time. It isn’t possible to do what we do safely without a considerable amount of training and practice. That said we understand that every volunteer has a job and life outside the department. We work to be as flexible as possible with training and requirements. As a volunteer, you are required to attend at least 30% of drills and as many alarms as possible (minimum 20 annually). The District has training sessions every Monday night from 7 to 9 pm, with the exception of holidays. During this time we will cover many skills and new tactics in everything from medical training to firefighting. New firefighters will attend fire academy to teach you all the basic skills needed to become a firefighter for our district. At the end of the academy you will have the opportunity to become internationally certified as a firefighter. After the academy we will teach you to fight wild land fires in an additional 32-hour course. Emergency Medical Technician training is also available for more advanced first aid skill training, but is not required. Whether you are a volunteer or professional firefighter, the dangers are the same. Firefighters can and do die in fires every year. We work on preventing this through a commitment of training for our members. First we recommend you attend one or more training sessions. This gives you a chance to meet other firefighters and see what you’d be getting into. See the training calendar for dates. Next, contact the Chief to schedule a time to meet via phone, email, or the form on this page. The Chief will have you fill out an application and get your physical (at the Department’s expense). Finally the Chief will have a background check run on you through the Washington State Patrol. No. Just a willingness to learn and work hard. We provide all the training you need. Do I Have To Sit Shifts? No. Our volunteers all carry pagers and respond when we have a call. Some people choose to take shifts at the station when they have been unable to respond for some time and feel like they want to ‘make it up’. What If I Have an Inconsistent Schedule? This isn’t usually a problem and sometimes it works out pretty well. We have volunteers that work from home, away from the island, get deployed, or work jobs that put them away for weeks at a time. When they are home and available they respond, when they aren’t they don’t. Having a different schedule can be a benefit when it makes you available when many others aren’t. Do I Need to Buy My Own Gear? Structural firefighting pants, coats, boots, helmets, and gloves. Wildland firefighting nomex and boots. The Department pays for all training required by the department. Additional training opportunities that go above and beyond the minimum requirements are frequently available and at no cost to the volunteer. Do I have to live in the Fire District? No, but you do need to live near by. A quick response is obviously key to many emergencies. 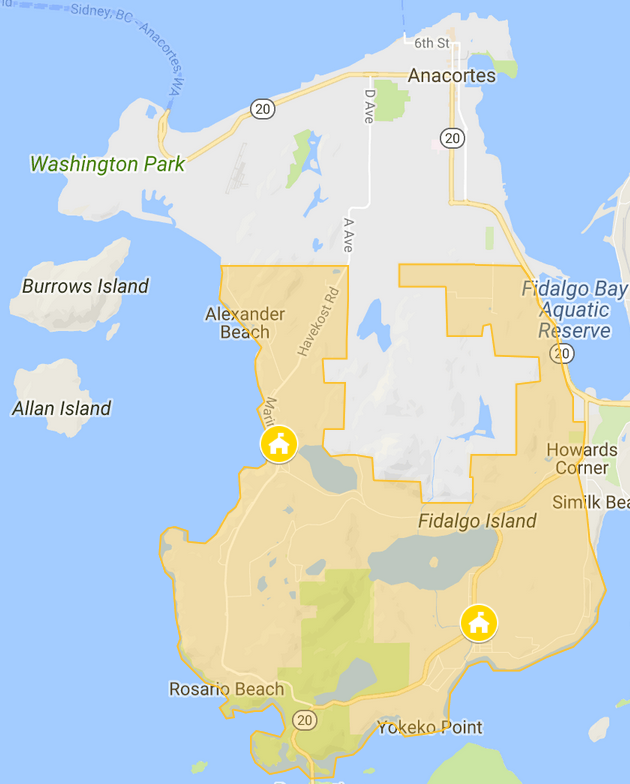 We have many members who live within the City of Anacortes. This is an entry-level position in the district. The firefighter is responsible to all district officers and fellow firefighters for providing emergency services and fire suppression and prevention. This position requires the performance of hazardous tasks under extraordinary conditions, which may involve strenuous physical and mental stress. Must have a current valid Washington State Drivers License and insurance, (or equivalent if on military active duty). Must be insurable, both medically and for driving purposes. Complete the Skagit County Recruit Academy and all adjunct courses within 1 year of acceptance of application (this may be waved by the Fire Chief upon proof of acceptable training or Firefighter 1 certification). Attend routine and special meetings, drills, and all required training. hazardous materials response, special rescue and emergency vehicle operation. attendance of all non-required training sessions. Portray a positive image of the District at all times. Follow the directions and orders of officers and personnel in charge.